At number 11 is a piece of ambient brilliance from my friend COUSIN SILAS and chum... Abominations of Yondo is an awesome collection of dark, earthy and deliciously ambient electro-synthetica. 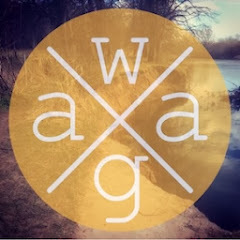 Soundscapes to feed your brain and inspire your thoughts > true head music. This netlabel release is not for everyone... but it works for me. Thanks chaps! The Neon Bible by ARCADE FIRE is next at number 10 > a fab follow up album from the Canadian rockers... another deliciously dark album full of pounding rock beats, thoughtful lyrics and singalong choruses. Their mixing of full on rock and orchestral elements is inspiring > this is an album for long car journeys as well as for headphones. Excellent. Number 9 sees the second solo album from sweet Canadian singer-songwriter FEIST > The Reminder is a fab collection of acoustic guitar driven pop nuggets. 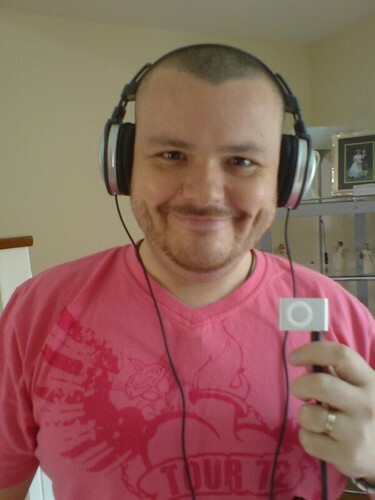 1.2.3.4 was used to great effect on the iPod Nano ads recently. Charmingly sweet and yet subversively funky... this was a fab follow up and a record that gives me hope in the music industry. The second netlabel release in the top 11... in at number 8 sees MY FIRST TRUMPET with Frerk > it is a wonderful collection of soulful, vibrant nu-jazzy instrumentation and gracefully glitchy beats. It is catchy, warm and serene.... full of melody and thought. A truly great find and awesome considering it is a free release. Number 7 brings another fantastic sophomore release from BLOC PARTY > A weekend in the city is an intense journey into the mind of KELE OKEREKE and his band. There is a real depth to their sound on this album > layers of guitars over crazy beats make for the ideal soundtrack for a weekend in a city... such as Glasgow where the sights and the people complement the sounds so eloquently. There is a tangible progression in this album and that makes it a worthwhile addition to any collection. Thanks to an old friend for the heads-up to this album. In at number 6... and nearly in the top 5... is the latest release from Iceland's most famous female vocalist... BJORK > Volta is accessible avantgarde music... if there is such a thing. This album is a vibrant and diverse stew with some of the craziest glitchy samples and beats I have heard in a long, long time... in the pot with a fab brass band and field recordings of boats' horns. I can't really describe in feeble prose how good this album is. Another album that gives me hope for the record industry > the true antithesis of the manufactured x-factor nonsense... I am a big fan! Kudos to Jon G for switching me onto number 5 in this list... NEWTON FAULKNER's Hand Built by Robots is awesome! His voice married with his skill with the acoustic guitar makes this album something truly special. Its uplifting and searching... putting words to thoughts in your head... a soundtrack to seeking meaning and value in this world. Powerful in its majestic beauty and expert simplicity. Thanks Jon! 2007 saw another fine release from my fav Japanese super-hero CORNELIUS > His Sensuous album ((in at number 4)) is a natural follow on from his previous material and demonstrates a sonic progression > with intricate guitar work, intimate electronics and the expert use of effects... such as delay. This is an album that needs headphones and the patience to listen to the album from start to finish in real time. A masterpiece. The last of the netlabel releases in this list... in at number 3 is Ballard Landscapes II by COUSIN SILAS > one of the best ambient albums I have ever heard in my life. Based on the work of JGBallard, my pal CS has created some beautiful soundscapes that capture the desolation, decay and isolation held within the ordinary so perfectly. Dark and man-made... windswept and eerie... a real example of tone and structure within ambient music > truly emotive and evocative. Excellent! 2007 was a big year for RADIOHEAD > they changed the industry with the manner in which they released In Rainbows... or maybe I should have said leaked it. 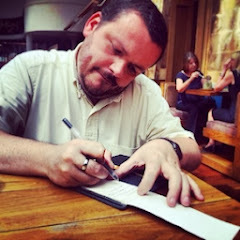 I paid nothing for it and got far more than I deserved. I knew nothing of their work and wanted to try before I buy... and I am so glad I did. I love this album... it sums up all I love about music just now: deep guitars... atmospheric electro-synthetica... great beats... thought-provoking lyrics and delivery. I became a RADIOHEAD fan on the 10th Oct... and have since obtained the bends and kid a > I intend to buy this album too... I want it in my collection. A worthy runner-up in my top ten. Truly brilliant. My favourite album of 2007 was one that sneaked into my consciousness only recently and yet has made a big impact. 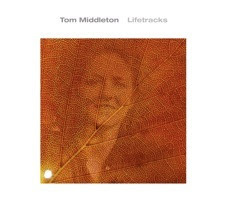 I am a huge fan of TOM MIDDLETON for ages... he is an excellent DJ and remixer... and his first solo album Lifetracks demonstrates he is an excellent producer too. This album takes the listener on a journey through key milestones in Tom's life in a unique and vivid manner. His electronica is deliciously vibrant and varies from upbeat and housey... to more downtempo and chilled. she associates it with one of the best pieces of ambient electronica ever produced. This album is up there... and a fitting number 1 for 2007. 2007 was a great year for music... even though we lost FOPP (I'm glad its back on Union St) and had to endure more x-factor guff. I hope 2008 is just as good... if not better. What were your highlights of 2007?